Two children were hurt when they were ejected from an SUV after the driver lost control and crashed early Thursday in Fort Washington, Maryland. Their SUV was headed north on Indian Head Highway when the driver hit a guardrail just past Fort Washington Road, Prince George's County Police said. Officers responded to the scene about 1:45 a.m. The children and the driver were taken to local hospitals. Their injuries do not appear to be life-threatening, authorities said. Police said it was not yet known what caused the driver to lose control. Northbound Indian Head Highway has reopened after the crash. 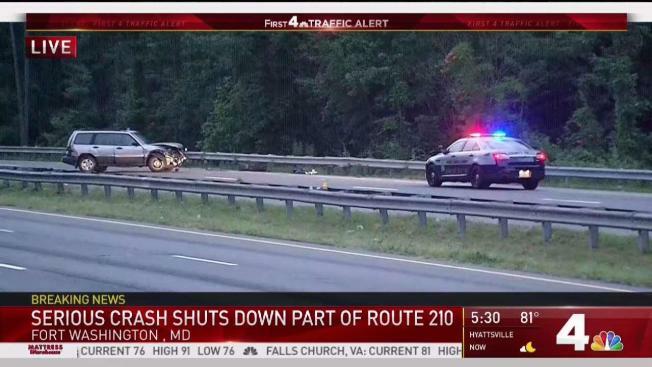 Stay with NBC4 and NBC Washington for more on this developing story.